Through a seemingly inexhaustible well of famous faces, "Spielberg" tells an unspoken story viewers already know from the man's movies. To be fair, he was right — he knew the right time to make “Schindler’s List” — and Lacy cuts the two stories next to each other, explaining Spielberg’s approach to “The Color Purple” as how he grew up and got ready for “Schindler’s List.” He may have been the wrong guy to tell a gritty African-American women’s story, but he was the right man to share a deeply personal Holocaust story. That, however, has been obvious for years. Not only do the respective films’ varying levels of success and stature in film history dictate as much, but you could tell just by watching that the man behind the camera was either right or wrong for that story. “Spielberg” is filled with similar examinations, connections, and confirmations, but it’s light on revelations. Spielberg has always felt like an honest filmmaker telling heartwarming stories, so to go in expecting scandal would be ridiculous. But for as sincere, well-made, and entertaining as Lacy’s documentary is, it ultimately feels like “Spielberg” is filling in minor gaps that were more rewarding to discover while evaluating the movies themselves. If there is such a thing as a movie sense — and I think there is […] Spielberg really has it. But he may be so full of it that he doesn’t have much else. There’s no sign of the emergence of a new film artist (such as Martin Scorsese) in ‘The Sugarland Express,’ but it marks the debut of a new-style, new-generation Hollywood hand. Perhaps it’s more accurate to say that we could have assumed much of what comes to light in “Spielberg.” So many of his movies focus on fractured families with problematic or absent fathers, it’s no surprise to learn Spielberg’s dad left when the filmmaker was just a boy. (Why he left is a touch more surprising.) There are dutiful references to onscreen fathers who mimic Spielberg’s attitudes toward his own parents (the “Close Encounters of the Third Kind” reference — “you crybaby!” — is particularly well utilized), as well as a knowing transition into his family-friendly films of late (though this is only briefly explored). And yet there are nagging questions. 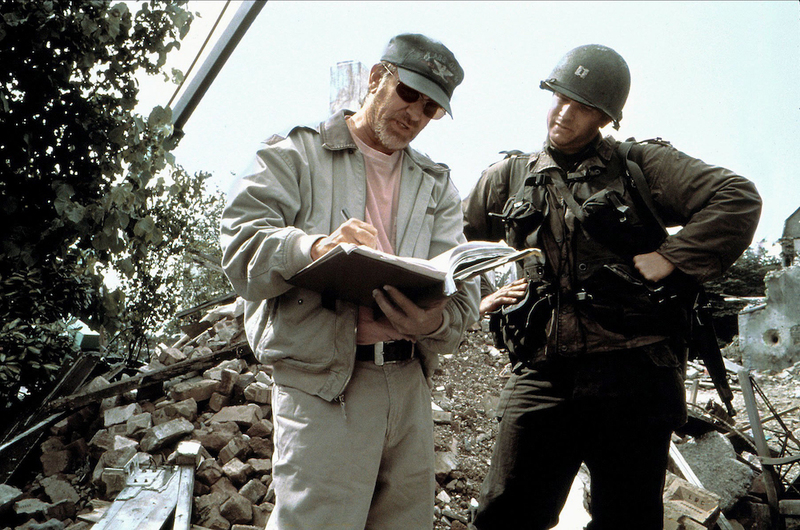 A gaggle of talking heads dissect various myths about how Spielberg broke into the industry. It’s made clear that his big break came from making his own movies and getting one screened by then-Universal Pictures president Sid Sheinberg, who gave him his first contract. 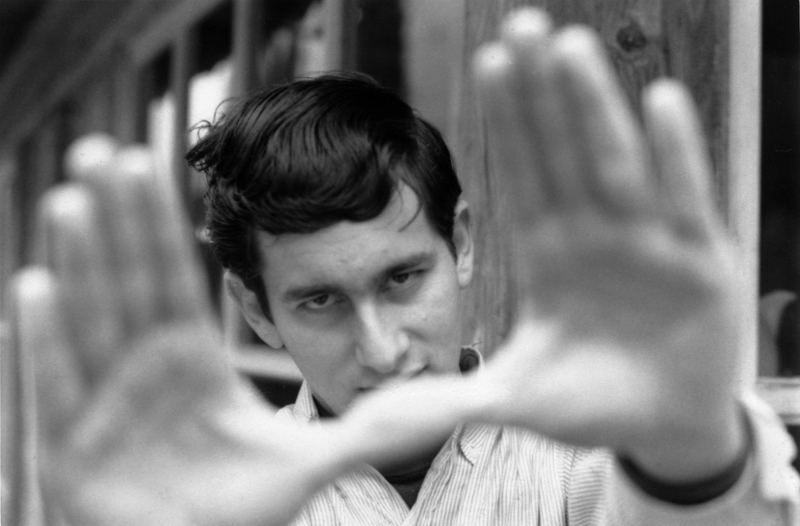 But how he, exactly, got his film seen in the first place stems from myth: James Brolin, Richard Dreyfuss, and even a friend of Spielberg’s from college talk about Steven sneaking onto the Universal lot and working out of an unclaimed office for six months. There are rumors of him walking onto Alfred Hitchcock sets and getting a film education by bumming around the lot. But Spielberg himself is largely silent. He confirms how he gained access to the Universal lot and what his first contract was, but not the mysterious in-between of how he turned wandering around aimlessly into an actual job. Despite numerous interviews across many months, spanning countries and multiple films, featuring numerous stylish and cozy-looking scarves, certain queries linger in the mind without a definitive answer. Lacy seems content with a quote from “The Man Who Shot Liberty Valance”: “When the legend is bigger than the facts, print the legend.” And she does just (and only) that. Similarly, career missteps are largely overlooked. There’s a succinct, valuable explanation for “1941,” Spielberg’s widely panned comedy penned by Robert Zemeckis and starring John Belushi and Dan Akroyd — a movie that holds up much better than its established reputation would suggest — but “Hook,” “The Kingdom of the Crystal Skull,” “The Adventures of Tintin,” and (thankfully) “War Horse” are almost entirely ignored, save for clips. Most frustrating, there’s zero discussion of “A.I. Artificial Intelligence,” the dicey 2001 sci-fi drama handed to Spielberg by Stanley Kubrick, shortly before his death. But despite an onslaught of every relevant artistic and familial connection to the man in focus, “Spielberg” still feels like a respectful appreciation of a beloved figure more than an insightful study. There’s nothing wrong with that, but whenever such unprecedented access is given, it’s also OK to ask for more. Push the man who doesn’t like to be pushed. See what happens. Then, perhaps, we’ll learn something about Spielberg we couldn’t glean from his movies. “Spielberg” premieres Saturday, October 7 at 8 p.m. ET on HBO.